Balance of payments is a systematic record of all economic transactions of residents of the country with rest of the world in a specific time. These records are kept to help government make economical decisions and plan strategies to know and improve the economical condition of the country while framing monetary and fiscal policies as well as trade and payment policies. Current Account: Under Current account transactions are classified as Visible ( exports/imports and merchandise ) and invisible( services). Major part of transactions involved in foreign trade are in the form of export and import of goods. The difference between the export and import of goods is called as Balance of Trade. If export of goods( in terms of value ) is greater than import of goods( in terms of value) then we have a trade surplus . If import of goods( in terms of value) is greater than export of goods( in terms of value) then we have a trade deficit. Services include large variety of non factor services sold and purchased by the residents of a country, to and from the rest of the world . Payments are either done to made by the country after rendering these services. Income includes profits and dividends earned by the country on their investments abroad and vice versa. Transfers are unilateral transfers involved which include gifts, remittances and other one way transactions. In Current account, receipts from import of goods and services and unilateral receipts are entered as credits and payments on the receipts of goods and services are entered as debits .Net value of debit and credit balances is the balance on current account. A current account deficit means the value of imports of goods/services / investment incomes / transfers is greater than the value of exports. It indicates net outflow of foreign exchange. A current account surplus means the value of imports of goods/services / investment incomes / transfers is less than the value of exports. It indicates net inflow of foreign exchange. A deficit on the current account is a warning that the nation is spending more than it is earning, in the short run. Capital account of BOP records all those transactions, between the residents of a country and the rest of the world, which cause a change in the assets or liabilities of the residents of the country or its government. It is related to claims and liabilities of financial nature. Capital account is concerned with financial transfers. So, it does not have direct effect on income, output and employment of the country. The main components of the capital account include foreign investment which is further categorized into FDI and FII, loans and banking capital. Loans are further categorized into sovereign loans and commercial loans. Debt-creating and non-debt creating capital inflows: Capital inflows in the capital account can be classified into debt creating and non-debt creating. Foreign investment (both direct and portfolio) represents non-debt creating capital inflows, whereas external assistance (i.e. concessional loans taken from abroad), external commercial borrowing (ECB) and non-resident deposits are debt-creating capital inflows. Foreign investment, comprising Foreign Direct Investment (FDI) and Portfolio Investment consisting of Foreign Institutional Investors (FIIs) investment, American Depository Receipts/Global Depository Receipts (ADRs/GDRs) represents non-debt liabilities. FDI and FII: Both are the forms of investment made in a foreign country. FDI is made to acquire controlling ownership in an enterprise but FII tends to invest in the foreign financial market. In most cases, the former is given preference over the latter because it benefits the whole economy. In June 2014, Government of India had accepted the recommendations Mayaram Committee thereby accepting the definitions of FII and FDI. The panel headed by Finance Secretary was set up to rationalize the definitions of FDI and FII. Loans: Loans include external assistance, external commercial borrowings and trade credit. Banking Capital: Banking capital, including non-resident Indian (NRI) deposits are debt liabilities. The transactions, which lead to inflow of foreign exchange (like receipt of loan from abroad, sale of assets or shares in foreign countries, etc. ), are recorded on the credit or positive side of capital account. Similarly, transactions, which lead to outflow of foreign exchange (like repayment of loans, purchase of assets or shares in foreign countries, etc. ), are recorded on the debit or negative side. 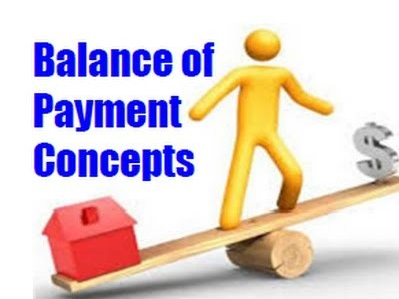 The net value of credit and debit balances is the balance on capital account. Surplus in capital account arises when credit items are more than debit items. It indicates net inflow of capital. Deficit in capital account arises when debit items are more than credit items. It indicates net outflow of capital. Next Bank strike: is this the only way?